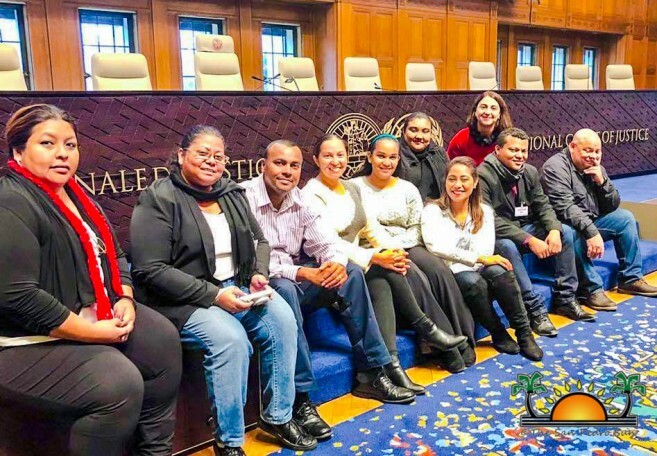 Belizean journalists currently at The Hague, Netherlands visited the Peace Palace on Tuesday, November 27th and had a close look at the court room of the International Court of Justice (ICJ) located inside the palace. The media group also held discussions with an expert on international law, who shed light on special agreements, the process of the hearings and the issue of enforcement after judgement is delivered. 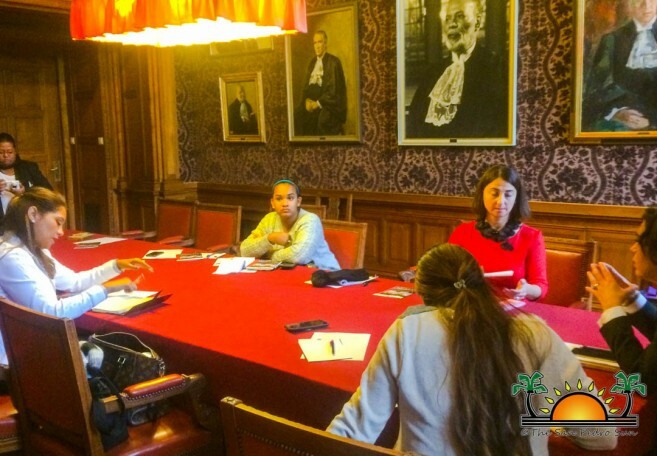 The journalists were host at the Red Room of the Peace Palace for the discussions. 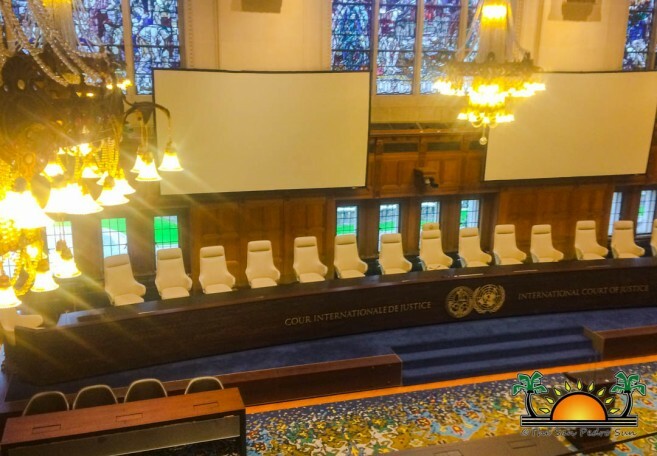 In this room, the 15 ICJ Judges meet for about 30 minutes prior to a court session. 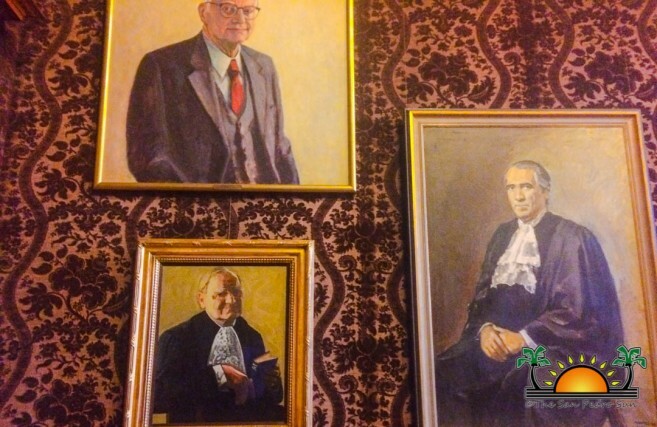 The room was decked with large pictures of past presidents of the court's judiciary body. The first minutes in the room touched on the importance of consent by both countries taking a contentious issue before the court. This is important as both parties must accept the jurisdiction of the court before the hearings begin. In the case of Belize and Guatemala, the ICJ was offered consent of jurisdiction after they signed a Special Agreement in 2008 to take the matter before said court. This consent will be complete following the referendum in each of the countries. Guatemala has held its referendum with a positive outcome, while Belize will hold theirs in April of 2019. The referendum will ask Belizeans if they agree to solve the territorial dispute with Guatemala through the ICJ. The international law expert stated that Special Agreements define specific terms about the dispute that needs to be settled. In this case the arguments will only focus on one area, either the border, only maritime areas or islands only. However, it was mentioned that countries can agree on adjudication on parts of the claim, accepting certain parts of the dispute and disagreeing with others. Currently, the Guatemalan claim focuses on more than half of the Belizean territory along with maritime areas and islands. According to the presenter, the Belize -Guatemala claim is very unusual as they can't recall a case in which the claim demands the surrender of half a country. It was explained that the ICJ takes careful attention when deciding, and their decision is usually final and cannot be appealed. It is estimated that the court will take around nine months to give its verdict after the hearing and analysis get all evidence submitted and presented. Each judge works on a draft regarding the case that serves like a mini-judgement. The collective drafting goes into liberation (being reviewed) for up to five days. A draft committee is created comprised of a majority view (ICJ Judge) and the court's president. The outcome is summarized, but a decision is far from being made. The outcome is carefully reviewed, and a first preliminary draft is created. The remaining of the judges (13) submit their amendments. The drafting committee meets again and goes over the amendments made by the remaining of the judges. When the draft is ready, the first reading of the decision is delivered, which can up to five days to finished. If there are objections regarding one of several points in the first draft, the drafting committee takes a couple of weeks to review the decision. The second reading is final and would take about a week to conclude. 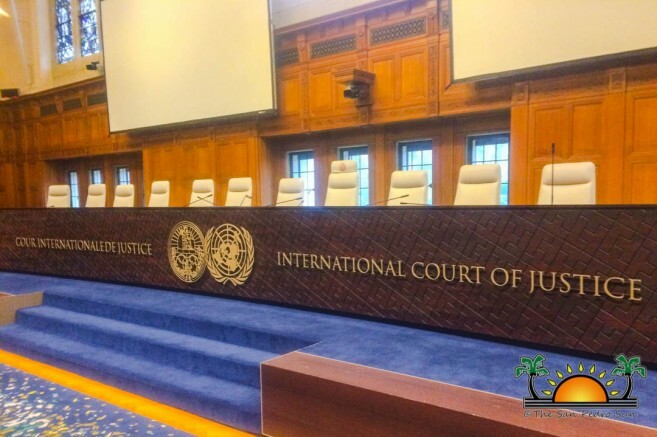 Despite the ICJ being the highest court among members of the United Nations, it cannot enforce its judgements. The expert explained that there have not been much issues, since 95% of the cases they have recently dealt with, judgements have been implemented. But in the case of non-complying countries, the issue can be referred to the United Nations Security Council. The Council will then decide and apply the necessary measures to taken in order to give effect to the ruling. This can include strong economic sanctions. Of importance is to note that the ICJ also offers advisory opinions on legal questions. This opinion is not binding, but normally countries requesting such advice abide by it and implement into their endeavors. These advices are based on the foundation of international customs and principles of law. 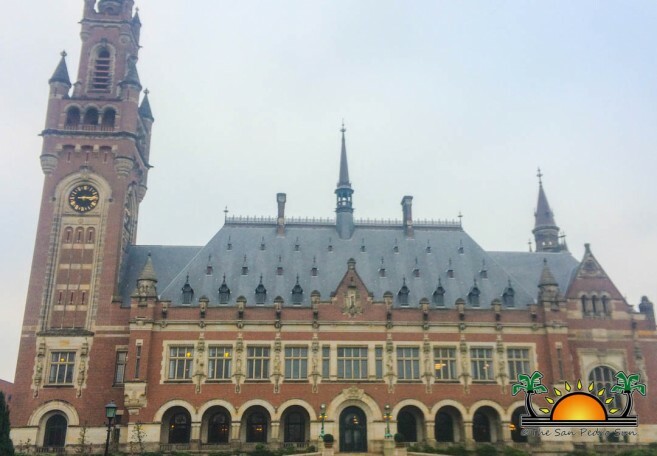 As the ICJ waits for the submission of the Belize-Guatemala territorial dispute, the court is quite active. Presently, they have 17 cases pending a solution, and just five of those were submitted last year. 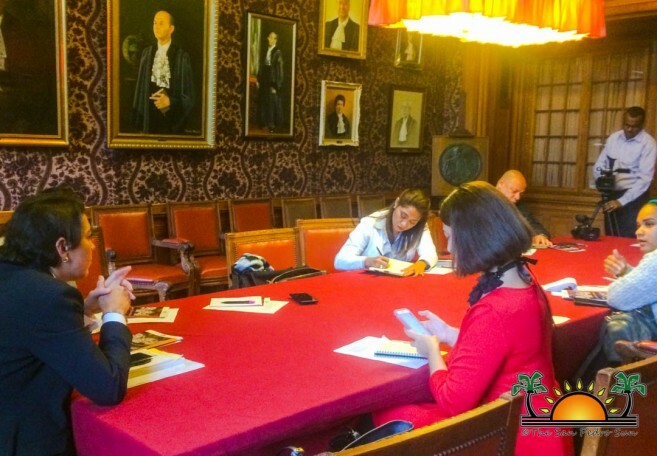 Following the meeting, the journalists were invited to visit the Grand Hall of Trust where the ICJ court room is located. The room has impressive architecture and fine details fit for such a respected international judiciary organ. 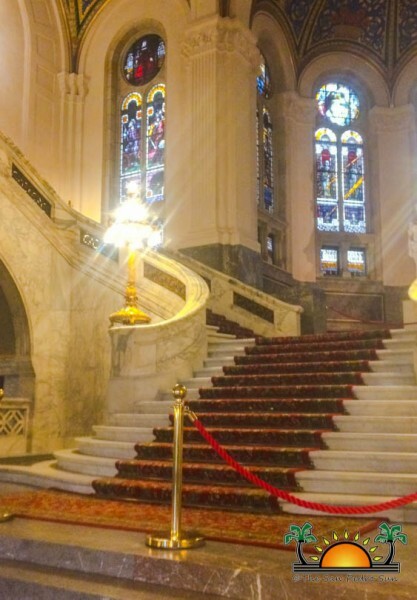 The host at the Peace Palace emphasized that the ICJ promotes peace, and sanitized disputes from political influence. The group of independent judges deliver their judgement based on international law. Since 1946, the ICJ has delivered 129 judgements on disputes concerning land frontiers, maritime boundaries, territorial sovereignty, the non-use of force and the violation of international law. The court has also addressed the right of asylum, nationality, guardianship, rites of passage and economic rights.